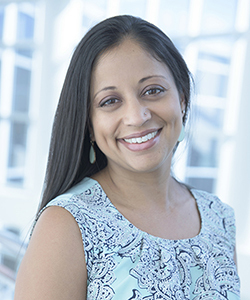 Dr. Sejal M. Barden is an Associate Professor at the University of Central Florida in the Department of Counselor Education and School Psychology and Executive Director of the Marriage and Family Research Institute. She earned her doctoral degree in Counselor Education from the University of North Carolina at Greensboro and completed her masters and education specialist degrees in Marriage and Family Therapy from the University of Florida. Dr. Barden’s primary research interests include: supporting healthy relationships for individuals and couples from underserved populations; developing integrated health interventions for chronically ill persons; and conducting culturally sensitive outcome research for couples and families. Dr. Barden has been active in the areas of research, teaching and service. Dr. Barden has over 35 scholarly works in refereed and/or peer-reviewed dissemination outlets. Dr. Barden is the Principal Investigator for Project Harmony (90FM0078-01-00), a five year federally supported research grant awarded by the Office of Family Assistance. Project Harmony is a randomized control trial investigating the impact of a relationship education intervention on improving relationship satisfaction, individual distress, parental alliance, emotional regulation and economic stability for individuals and couples from economically disadvantaged backgrounds. Barden, S. M., Gutierrez, D., Gonzalez, J., & Ali, S.(in press). Calidad de Vida: An exploratory investigation of Latina breast cancer survivors and intimate partners. Journal of Health Disparities: Practice and Research. Barden, S. M., Sherrell, R., & Matthews, J.M. (2017). A national survey on multicultural competence for professional counselors: A replication study. Journal of Counseling and Development, 95(2), 203-212. Barden, S. M., *Gutierrez, D., *Gonzalez, J., & *Ali, S. (2016). Healing faith: A qualitative exploration of Latina breast cancer survivors. Counseling and Values, 61(2), 142-158.